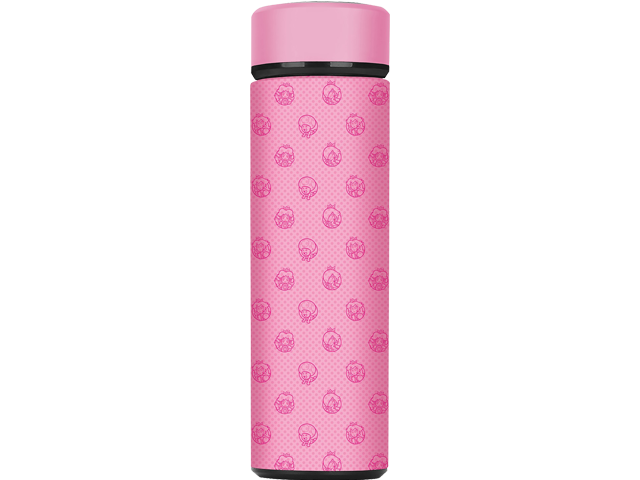 Take Princess Peach™, Daisy™, Rosalina, and Toad™ on the go with this travel vacuum insulated stainless steel bottle. The Princess travel bottle is perfect for keeping your drink the right temperature - with this insulated travel bottle you'll be able bring a hot coffee to work or hydrate with cold ice water throughout the day. You won't have to worry about spilling with the screw on top, so you can bring it with you wherever you go on your travels throughout the Mushroom Kingdom.